More federal oversight is needed to keep track of tens of thousands of railroad bridges, especially in New York, where there has been a recent surge in trains hauling explosive crude oil, U.S. Sen. Charles Schumer said Thursday. Schumer said the Federal Railroad Administration has only seven specialists to audit inspection reports by freight and passenger railroads for their 70,000 to 100,000 bridges nationwide — including just one who is responsible for New York and 13 other states. The 3,000 rail bridges in New York includes more than 120 in Rockland, Westchester and Putnam counties. 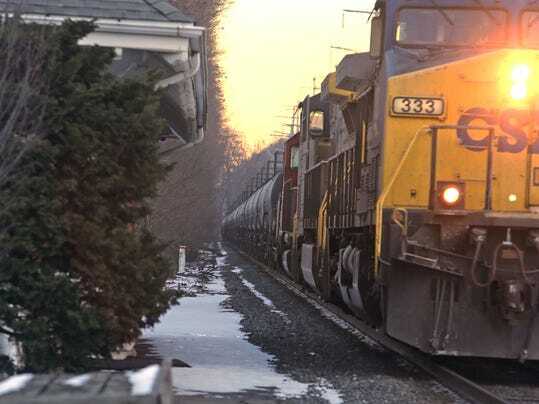 Railroads such as CSX and the Metropolitan Transportation Authority conduct their own maintenance and annual inspections, leaving them to self report and make repairs at the risk of impacting their operations, Schumer said. “Some might say this is like the fox guarding the hen house,” the New York Democrat said in a conference call with reporters. At current federal staffing levels, he said approximately 1 percent of rail bridges across the country are independently reviewed each year. By comparison, the state Department of Transportation inspects every public roadway bridge at least once every two years. Rob Doolittle, a spokesman for CSX, said the freight line’s “extensive” bridge-management system meets or exceeds federal requirements. The FRA requires railroads to maintain an inventory of their bridges, their load capacity and standards for bridge engineers, among other conditions. The issue has taken on new urgency as shipments of Bakken crude oil from North Dakota have increased and travel across nearly 1,000 miles of New York. Up to 30 oil trains pass through Rockland each week on CSX’s River Line, hauling it from Selkirk to refineries to the south. Schumer questioned whether the bridges those trains used were designed to handle the increased frequency and weight of the shipments. Schumer said he wants to provide more funding to the FRA so it can hire more bridge auditors next year. Just $1 million could pay for seven more people, but the senator said he will push for more money. In the meantime, he called on Feinberg to use her agency’s budget flexibility to immediately add more specialists to audit bridge safety reports.